One of the challenges when entering the Chrome ecosystem is the lack of familiar names and products. The go-to apps on a Chromebook are not the normal fare, and for good reason. Apps on a Chromebook exist in collaboration with the internet at a very deep level. On other platforms, internet goodness is considered a feature, not the root. This does not mean that Chromebooks are useless without internet connectivity. They are not “just a laptop that runs a browser for an operation system”. If you have not figured out the fallacy of these myths please stop reading, I cannot help you. Yes, my first app is not an app. This is an example of the mind splitting differences between the Chrome ecosystem and Windows or OSX. This piece of hardware “behaves” like a supercharged app. In a couple of clicks you can stream your favorite media or mirror your screen for anyone to see. All wirelessly and painlessly. 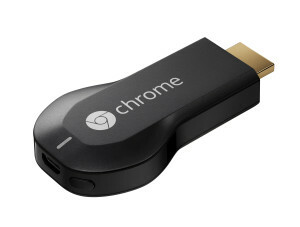 A significant improvement over Apple TV and other media boxes at a fraction of the cost. A must have. Drive really represents a number of apps rolled into a single interface. Docs, Sheets, Slides, PDF Viewer, Cloud Print are just a few. These offline apps are incorporating many of the benefits of the Quickoffice acquisition by Google. It is important to understand the offline capability, it is best used for new content creation and premeditated editing sessions. If you store everything in the cloud you cannot edit it if you are offline. This is not a failing of the app, it is a reality of the architecture you are using. This application is a great value and an example of a rethinking of a traditional space. 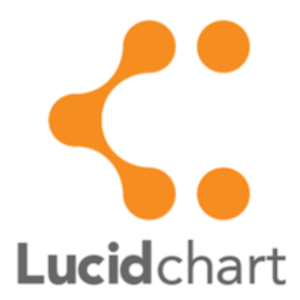 Lucidchart rethinks how we build diagrams and incorporate them into our work. Not only is it web-centric, but it actually improves upon the standard set by Visio, SmartDraw and others. The tools are easy to understand and use, the user base is broad with lots of templates, and the integrations with JIRA and Google Apps are well done. HootSuite is an excellent aggregation point for social networking. I like to consolidate feeds and HootSuite is an excellent place to do that with support for almost all of the top social networks. The interface is well thought out and translates well to touchscreens. Well-designed! If you work with other machines this app is automatic. There is not a lot to say other than it works like it should and is constantly being improved upon. Looking back it was quite spartan a few months ago and now has a number of additional useful features. Outstanding photo editor that rivals Photoshop for most users. Excellent community support. I was getting a little irritated by a Chromebook bug up until a couple of weeks ago, but that seems to be completely gone. I use this app a couple of times a week when working with images. Hard to over-emphasize the intuitive toolset if you are a Photoshop or GIMP user. Up until earlier this year I was an avid Evernote user. I even paid for the professional version. Keep has removed Evernote completely from my consciousness. I use it extensively for writing articles like this one. I can edit here, on my tablet, or even on my phone without a thought. Everything I do is automatically backed up in Drive and goes into my normal archival system (more on that in a bit). It still needs a few more features to be indispensable but like other apps listed, enhancements are coming regularly. 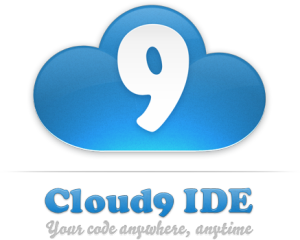 After waiting for quite a while, Cloud9 emerged as a viable alternative to a traditional IDE. If you are working with supported tools, the FTP and Git integrations are powerful. I am currently using Cloud9 to develop my personal and business websites. I am hoping to branch into some web app development next. The ones I use, not in any particular order: YouTube, Netflix, Google Music, Google+ Photos, Kindle Cloud Reader, DropBox, Google Play Books and Movies (viable option to Amazon). Unlimited backup of your Google account and Drive storage. An automated, daily, incremental backup of your mail, contacts, calendar, and files. There is not a size limitation and it is easy to export your files for local backup at any time. My personal backup solution has morphed radically with the switch to Chromebooks. Instead of trying to carry all my files with me I let Google curate them in Google Drive. Spanning backs them up each day and about once a month I export them in a zip file to a local external drive. Periodically I make a copy and place it in my safe deposit box. 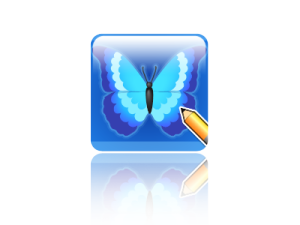 This way I have 4 copies in different places without a lot of effort. Thinking this way requires a paradigm shift that I will write about in the future, for me it has been very freeing. I no longer spend large chunks of time performing administrative tasks to protect my files. I execute some simple processes at regular intervals and I have peace of mind that my photos will not just disappear in the cloud. I am sure my list of top apps will be different a year from now. As I work through this article I am stunned by how little is missing. And to those naysayers out there, most of the apps listed above work offline. There are obvious exceptions but a lack of internet connectivity does NOT keep me from being productive. Enjoy the freedom and flexibility you get with a Chromebook, many of us have dreamed of these features for most of our techie careers.